Stop saying that you’re the best when making a sales pitch. Stop saying that you’re selling the best product, the best merchandise, or the best service because every salesperson in the world says that. Most sales conversation just lead down to price because the salesperson did not communicate meaningful differentiation. You need differentiation in sales, differentiation around what you sell, and differentiation around how you sell. 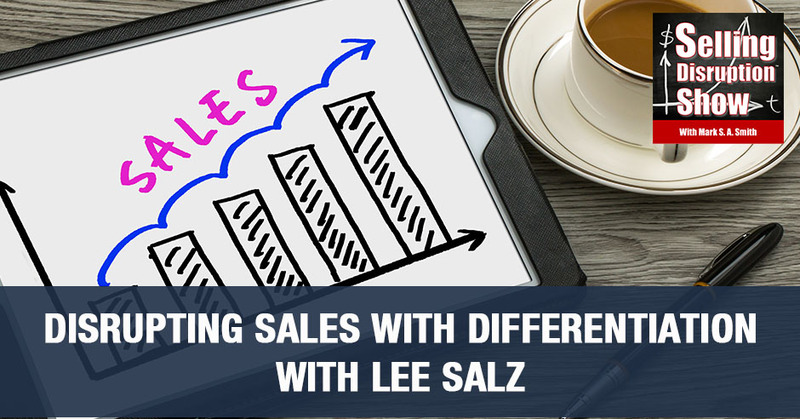 Lee Salz, author of the book Sales Differentiation: 19 Powerful Strategies to Win More Deals at the Prices You Want, shares how you can disrupt sales by creating unstoppable differentiation. Learn the importance of researching and exploring the triggers, the events, or the happenings that will lead someone to explore your type of solution. The key is how you can be meaningfully different right in that first conversation or you’ll never get the meeting. 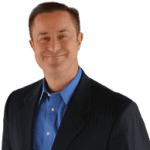 My guest is Lee Salz, who is the bestselling author of Sales Differentiation: 19 Powerful Strategies to Win More Deals at the Prices You Want published by Harper Collins. You have a genuine, honest to gosh book. Welcome, Lee. I am delighted that you’re here. You have been running sales organizations for decades and you help sales organizations do better by creating sales differentiation. Congratulations too by the fact that the Top Sales World recognized your book, Sales Differentiation, with a silver medal. That’s a big deal. Tell me about how do we create sales differentiation. That’s the reason why I invited you on the show. 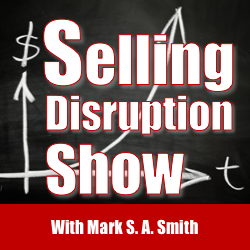 I want your take on how do we disrupt sales by creating unstoppable differentiation. If I could ask you a question before I respond to that. How many guests do you think you’ve interviewed over the years on this show? You’re probably about show 93 or 94. The reason why is because I always invite the coolest people to my show. That’s not it. Let me tell everybody what the reason is. I’m the best sales consultant in the world. For those of you in the audience, have I endeared myself to you and say, “I want to read this interview,” or you’re saying, “What is wrong with Mark in having this jerk on the show?” I’m guessing I didn’t endear myself to you. You’re not thinking warm thoughts. If you’re thinking negative things about me because I’ve described myself as the best sales consultant in the world, here’s my question for you. Why do you think your clients feel any differently about you than you feel about me at this moment when you come marching and preaching, “Our company, our products, our services, our technology are the best?” That’s it. They feel exactly the same way that you feel about me right now, exactly that way about you. There are two reasons why business professionals use that word best. One is to build relationships. I’ve proven to you that don’t work. I’ve turned you off instead of exciting you and wanting to hear what I have to say. The second one is to differentiate themselves from the competition. It’s a judgment but I’ll tell you something else. I was a history major in college. I went to Binghamton in Upstate New York. 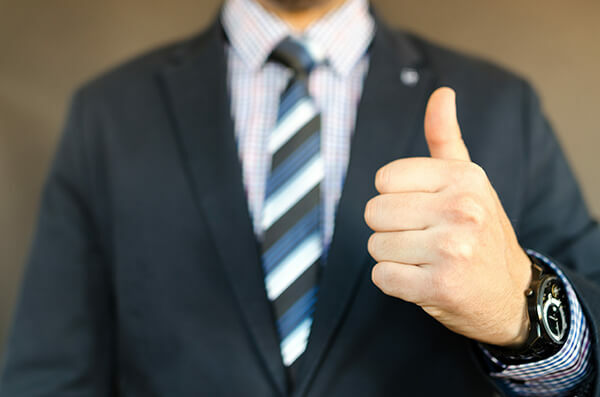 In the history of business, no salesperson’s ever gone on a sales call and said, “The product’s pretty good, our technology is so-so and our people are so-so. How many would you like to buy?” Every salesperson comes marching and preaching that they’re selling the best of the best. The second goal of differentiating from the competition, we failed there as well. What we need to be talking about is not best. We need to put that away and talk about different and desirably different. Imagine starting a sales call. Instead of saying, “We’re the best,” we started this way, “I’m not going to tell you that what I have to offer is the best. What I will do now is share with you some differences that our clients find meaningful. You can decide for yourself if those are meaningful to you as well.” How refreshing? That’s different. My sixteen-year-old son got me addicted to the show, Arrow. The visual that I have when a sales call begins is almost like an episode of Arrow where each party has a sword of some sort. This way we say, “Let’s put the swords down.” I’m not going to use expressions like best and have you roll your eyes because there is this buyer eye roll. You don’t always see it, but it’s there. As soon as you say best, it’s like, “Here we go.” I’m getting the process right now. The lease is up in my car and I have to go through the exercise of sitting down and trying to figure out my next vehicle. It’s a nightmare and this is what I do for a living. I can only imagine for those people not in this space when they’re going through this. How much they dread dealing with the sales experience. It’s horrible. They do not make it easy and that’s the reason why companies like CarMax and Carvana have been killing it. I did research this best issue. I’ve discovered the one person on the planet who can say best and have it be meaningful. Do you know who that is? I would say an Olympic gold medalist. We can do better than that. It’s your client. When your client says, “You’re the best,” that’s meaningful. That’s why references are important. It’s part of the sales process. When someone says it about you, that carries a lot of weight. If someone says about me, “Lee is the best sales consultant in the world,” someone pays attention to it. I say those same words and I turn people off. I get eye rolls. It’s a good point to call out for our audience. There’s a difference between attributions and things you can claim. An attribution is you’re the best. You have thought leadership. It is that you are superior. Any of those judgments have to come from somebody else. If you claim you’re a thought leader, if you claim you’re a trusted partner, nobody believes you because you can’t make those claims. Somebody else has to attribute them to you. Everyone else is saying those words anyway. They become meaningless. They do become meaningless. That’s an experience that we drive for. The reality is that in my experience now, our job as a sales professional isn’t to prove that we’re the best. It’s to prove that we’re the safest choice. Safest and you have to broaden that because people say the safest choice and there’s some player in our industry like no one ever got fired for buying IBM, that old expression. They say, “I’m dead in the water if you go with that,” but the safest choice could be the one that is the right solution for them. Not necessarily the one that has the moniker the safest choice. Sales Differentiation: The one person on the planet who can say that you’re the best and make it meaningful is your client. It’s not the moniker. That’s an attribution. Safe is an attribution. Low risk is an attribution. We can’t claim them. You have to prove them and then people say, “I think you’re the safest choice.” What we have to do is figure out what their parameters are to create that desirable difference. That’s what I’m talking about in desirable differences. That’s always a judgment. I want to hear more about the differentiation strategy. What my counsel is to those in the sales profession is to position meaningful differentiation, so buyers perceive your solution as best without you ever saying the word. That’s what you’re trying to get to. That creates a competition-proof environment because your competitors will never figure out why they’re losing. Here’s the other part. I’ve never found a salesperson who knows who their real competitor is. I’ve asked this for years all across the country, up in Canada and I’ll ask the audience, “Who is your biggest competitor?” These three company names will roll off the tip of their tongue. I say, “I’m sure that’s a worthy competitor, but there’s one that’s even tougher.” They say, “You mean the old sales trainer one, the choice to do nothing?” There’s a third one that no one thinks about that is their biggest competitor. It’s every salesperson that is calling the same person you are trying to get a meeting. In the history of business, there has never been anyone who’s been given the job description of meet with salespeople every hour on the hour. No one’s ever had that job. That’s not their job either. They have a project and if their project necessitates that then they’ll do it, but no one’s ever had the job of meeting with salespeople every hour on the hour, 40 hours a week. No one does that. In sales, we’re often egocentric. What I mean by that is we think of competition. We think of those in our space, but let’s flip it to the other side. You’re calling on some executive and you think of their sphere of influence and their responsibilities. They’re getting calls from salespeople in every single one of those industries and even some that aren’t in their purview. Everyone’s trying to get that face time, the ability to have an in-person meeting. We’ve got to be different right in that first conversation or we’ll never get the meeting. If there’s no meeting, there’s never a proposal. If no proposal, there’s never a deal. What we have to have is a meaningful conversation with somebody. You’re spot on. I talk to my clients about the work that I do like you do. We’re both professional speakers. My competition is crappy meetings. The bad meetings that they’ve had in the past, which they resist giving me a block of time because they don’t want to bore other people. The same thing happens. Every one of those salespeople is out there using antiquated and counterproductive sales methodologies. We’re up against this massive barrier and with the cultural pivot, Millennials won’t put up with sales garbage yet the Boomers and the Gen Xers did. With Millennials, one strike and you’re out. With Boomers, at least you had three strikes and you’re out, one and done. We have different things that we’re up to. How do we crack through and make that first call to create that differentiation? You’ve given us one strategy, which is I’m not here to tell us we’re the best. I’m here to share with you our desirable differences that our clients tell us are useful. The police don’t randomly pick your home and you for a conversation. They followed a trail of evidence and put together a crime theory that’s led them to you for a conversation. Can you see where we might be going in sales? They need to put together a sales theory. A sales crime theory and you’re in search of the answer to this question. Why should they want to have a conversation with you? Not the other way around. We always say, “Why should we go talk with them?” No, why should they want to have a conversation with us? Which is the problem with cold calling is we’re calling somebody out up and asking them to do us a favor. Give them their valuable time and they owe us nothing, less than nothing. The thing is we say, “Do some call research,” and I find that’s too vague. If you think of it in terms of sales crime theory, you’re getting very specific and it makes it a little more fun because cold calling is tedious. I’m on a quest to find out why they should want to talk with us. What you do is you take a look at your industry and look at what are some of the triggers or the events or the happenings that lead someone to explore your type of solution? For example, let’s say you sell technology for conference rooms. You find out about a new building that’s being built. They’re going to need this technology in the conference room so they should want to have a conversation with you. You hear about a company that is moving or expanding. All of those types of events that leads to a conversation around their conference room. You get that evidence and you use it in your conversations to get that meeting. Sales Differentiation: Meaningful differentiation is making buyers perceive that your solution is best without you ever saying the word. Imagine two salespeople. One salesperson and we’re representing a manufacturing solution that reduces cost and improves efficiency. We’ve read an article in The Business Journal a CEO of a manufacturer who talks about an objective for the upcoming year of reducing costs and improving efficiency. We now have sales crime theory evidence to call that head of manufacturing. It would be a conversation like this, “I recently read an interview with your CEO who is talking about some objectives for the upcoming year including reducing costs and improving efficiency, which is exactly what my company does.” Another salesperson blind cold calling saying, “You’re the vice president of manufacturing. I’m guessing you’re responsible for reducing costs and improving efficiency and that’s what our company does.” Which of those two people are more likely to get the meeting? You got it. Be different in every interaction between a salesperson and a buyer. Look for those opportunities. Provide meaningful value that your competition is not. My formula is simply repetitive relevance, expanding value, and unshakable trust. Those three elements are what’s required for us to have those conversations, especially at the executive level. If you don’t bring something that’s extraordinary to the party, you’re out and you don’t get to come back. That leads to another conversation. Salespeople have been told, I can’t tell you how many years now, about the educated consumer because all this information is out on the internet. It’s out there. It doesn’t mean that people have educated themselves. It does because it’s not about lecture. It’s about inquiry. There is an art to that. Here’s a common sales mistake. We’ve been taught to look for pain, to probe for pain, probe for challenges. We need to do that, but if you agree with me that we know more about the world of potential solutions than the people we sell to, then we can’t just rely on their perceptions. We need another question type that I refer to as a positioning question. These are open-ended questions that map back to your differentiators that help people think differently about the solutions you have or could have. It’s a question that leads the awareness to your opportunity to solve their problem. I’ll give you an example. In the State of Minnesota, every homeowner and every business contract for their own trash removal. Every Wednesday morning, I have a parade of garbage trucks coming down my street. Each one seemingly doing the same thing pulls up to the home, the arm extends from the truck, grabs the can, lifts it up, dumps the contents into the truck, puts the can down and drives away. You get an invoice at the end of the month. A CEO from one of these companies reached out to me, he said, “Lee, I believe we’re doing something different. Something that’s meaningful that we shouldn’t have to fight over price.” I was intrigued given that every Wednesday I see the same experience and he was exactly right. They did have meaningful differences, but the salespeople didn’t know how to have the conversation. One of those differentiators was they had this truck called a Can-Be-Clean truck. The only ones in the State of Minnesota had this truck that twice a year follows the garbage truck and cleans your garbage cans. They didn’t know how to talk about that. For their residential salespeople, the ones calling on homeowners and these are people knocking on doors and making phone calls. After they introduced themselves, the next thing out of their mouths is a question, “When was the last time you had your garbage cans cleaned?” We know they never have unless they’ve done it themselves. If you’ve ever cleaned your garbage cans, you know what a miserable experience that is. Right at that moment, we’ve helped someone think differently about the solutions they have or could have, something as simple as trash. “Why isn’t someone cleaning my garbage cans?” If we had said to them, “What are three things you’d like to have that you don’t have now?” No one’s going to say, “I’d love it if someone cleaned my garbage cans,” because you don’t know it exists. I’ll give you another example. I was reading this story in Men’s Health magazine about a product called Dude Wipes. They were on Shark Tank. They’re trying to disrupt a solution that’s been in place as long as we’ve been around. The price point of Dude Wipes is exponentially more than a roll of toilet paper. They’re trying to help people think differently about the solutions they have or could have. The CEO in this interview asked an interesting question. He said, “If you got chocolate on your arm, would you wipe it off with a dry paper towel and feel clean? It’s nasty. It’s gross. It works and sells the concept.” You are now thinking differently about toilet paper. That’s a positioning question. It’s a good example of that. Helping someone think differently about solutions you have or could have. That’s how you change minds rapidly is open up to them something they had not considered before that is in alignment with a commitment they’ve already made. 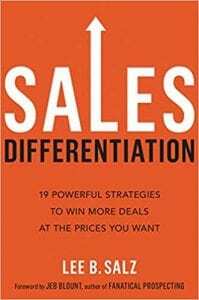 Sales Differentiation: The best sales training I’ve been to is in the procurement training. Isn’t it helpful to find out how they’re being taught to buy? We’ve been touching on the two components of what I refer to as sales differentiation. It’s sales differentiation no matter what you sell and sales differentiation around how you sell. When I talk about what you sell side, what I find is that companies in this last client I described, she’s a perfect example of this. They know what their differentiators are. The salespeople, the executive team are passionate about the differentiators that they possess, but they’re completely ineffective in building that same passion and interest in someone on the other side of the desk. If you can’t do that, you might as well not have differentiators. The whole conversation’s going to lead to price. No differentiation, price becomes the tiebreaker. You need a way to communicate that meaningful differentiation. That’s what those positioning questions help you do. If somebody says to you, “I can get it cheaper somewhere else,” you have failed in your differentiation. That’s right and that’s what I tell salespeople all the time. They get mad at their buyers. When someone says, “You’re like everybody else,” and they get mad at the person at the side of the desk. Get mad at yourself. It means you failed. You didn’t talk about how you’re different. Besides that, you have to understand that if somebody pulls out that line and I don’t see as being different than anybody else, that’s also a negotiating strategy. It’s been taught in all the negotiating classes for you to say, “I can get that cheaper somewhere else.” It’s only price. Give me your best price or get out of here. I have added somewhere between 10% and 20% to my family bottom line with what I call the flinch test. You put a price in front of me and I go, “My gosh,” and I look to see the reaction to the other side. You wouldn’t believe how often they buckled, “Let me go talk to my manager and see what I can do.” It’s a great way to test and see if the prices put in front of you are truly valid. It’s such a critical idea and it’s taught in every negotiating class. If you don’t flinch, you’re not doing your job getting them to lower your price. As a salesperson, when you see the flinch, your job is to laugh and hold your ground. Keep in mind the perennial battle of sales is simply this. It’s the buyer’s fiduciary duty to get you to lower your price and it is your fiduciary duty as a sales professional to maintain your margin. Hence, the battle. People ask me all the time what’s the best sales training I’ve ever been through, and I’ve been through all the big names. None of them reached the top of my list. I had an opportunity many years ago to participate in procurement training. Isn’t it helpful to find out how they’re being taught to buy? How they are taught to evaluate a supplier? It was the best training I’ve ever had. 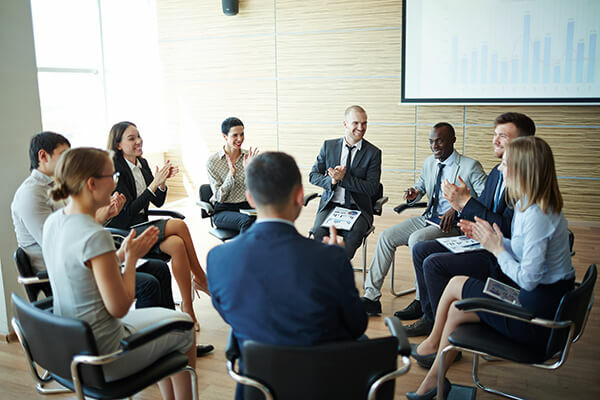 For the executives in our audience, if you can bring in one of these procurement trainers into your organization and have them do a program on what they’re teaching the procurement agents to do, your salespeople will find it invaluable. All you have to do is apply the antidote to all those things. You’re going to be well-ahead. The challenge that I see in a lot of organizations is that the buyer has better negotiating training than the sales team. That is a massive mistake. You can radically improve your profitability. You can radically decrease your average discount granted by your sales team if you give them good negotiating training on the antidotes to all the dirty tricks that buyers are taught. Somewhat related to that is a question that I ask executives all the time. Let’s say they have ten salespeople. 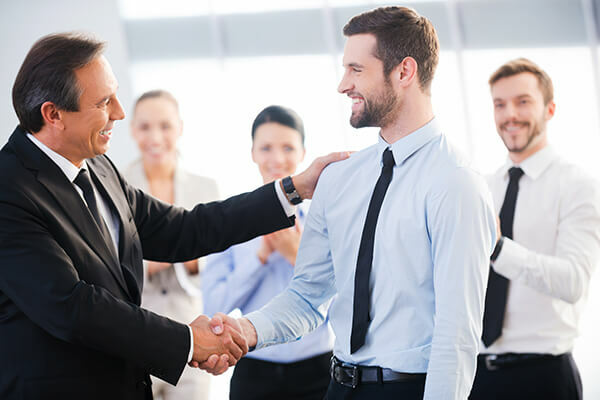 I said, “If all ten of your salespeople came to you and said, ‘I had a great first meeting.’ In a B2B sale, you know they’re not walking out with an order. What would you know for sure took place in that meeting? You know what the most common answer is that I get? Not a darn thing because they never prescribed how to handle that initial sales call. How does that make logical sense? We have ten salespeople selling the same products and services to the same marketplace. Why would you ever want to have ten different sales calls? You don’t.” When I talked to operations people, I’ll say, “Would you hire ten people to manufacture your widget and let them do it any which way they want?” Of course not. Why would you do that? It’s inefficient. You make mistakes and on and on. Why do you do that in sales? I’m a big believer in prescribing how you sell, back to your point around negotiation. If you prescribe the selling process, don’t make it restricted. Don’t take the personalization out and lay out a framework that includes, “Here are the common concerns, objections, stalls. I call them deal with obstacles that salespeople are going to encounter. Here’s what our strategy should be based on our best practices to work those through. All ten of those salespeople should be following those best practices. When you do that, you’re going to win. Salespeople sometimes bristle at that and I give them this challenge, “You name for me a company that is described as successful in sales that lets their salespeople do whatever they want, however, they want, whenever they want to do it and I’ll shut up.” There’s never been one. Successful companies don’t do that. They prescribe it. They have a sales process that they use or they have a talk track that they use. They have a research methodology that they use that creates the best possible outcome. You can’t be too small to do it. A lot of times I hear, “We only have two salespeople.” All the more reason. Prescribe it. It’s also the way that you set yourself up for scalability. Your first salesperson is the time that you’re going to build your sales methodology that lets you figure out the right salespeople to hire as you choose to grow. Lots of great ideas in our conversation, Lee. How does my audience get ahold of you if they want you to come and then speak? How do they get ahold of your book? What have you got for us? The book is available in bookstores and all your favorite online websites. Target‘s website even has it. It’s available in hardcover, Kindle and audiobook. Regardless of where you buy it, if you go to SalesDifferentiation.com, you’ll see there’s a little tab with a bonus. I’m offering purchasers of the book access to my Sales Differentiation Minute video series. Normally, those are only available to my workshop clients. You’re getting a $1,500 value for the simple price of the book. You fill out the form and I committed to doing nineteen, twenty weeks of videos. I’ve been having such a blast. This is probably going to be 50. We keep recording. My son’s my producer and we’ve been recording a couple a week and it’s been great fun. The videos are designed to help you implement what you read. Thank you so much, Lee, for sharing your insights on how to be different and desirably different when it comes to making your sales. Lee is originally from New York and New Jersey and spent ten years in the Washington D.C. Metro area. He now calls Minneapolis home, along with his wife, three children, and two dogs. When he isn’t on the baseball field coaching his kids, Lee is in the gym preparing for his next powerlifting meet. He’s been competing in the bench press since 2000 and most recently won the 2014 Minnesota State Powerlifting Championships.